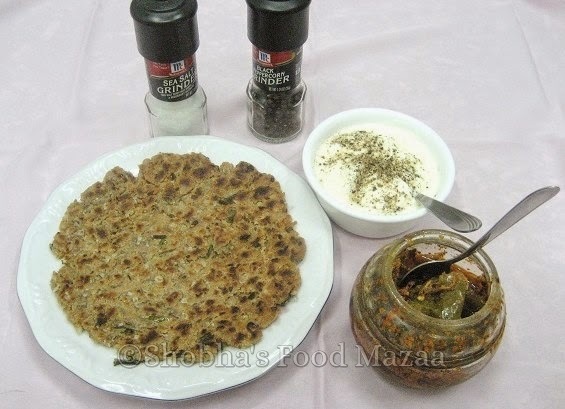 This is a traditional Sindhi breakfast dish. You can just relish with curd and pickle. 1. Take flour in a bowl. Add the entire 4 tbsp oil into the flour and mix well with fingers until the oil disappears into the flour. 2. Add the onions, green chillies, coriander leaves,caraway seeds, pomegranate seeds and salt and knead the into a hard dough using water. 3. Make about 5 big balls from the entire flour quantity. 4. Roll each ball into a 5 cm diameter thick circle of 1 cm width. 5. Heat a roti pan, and place the thick rolled out roti onto the pan. Heat for exactly 3 seconds and not more, and turn over. Heat this side also only for 3 secs, then remove onto a platform. 6. Immediately roll this half-baked roti into a large roti, double the original size. 7. Transfer onto the tawa again, and fry using 2 tsp pure ghee or butter, until it becomes well baked. 8. Remove. Repeat with the other balls. Serve hot with yogurt sprinkled with salt n pepper and pickle. I have heard so much about Koki from my sindhi friend.Now I know what it is. Thanks ..you should try it out. It is actually a breakfast item but I feel it is perfect for Sunday Brunch....quite filling. Thanks and welcome to my space. Do try it out and let me know.I just had a quick tour of your blog ...will again go through the recipes leisurely. Lovely koki. I never had it but am sure wud love to have it.... ! How delicious these look! What a beautiful platter of food too - very tempting! Thank you for sending over these yummy kokis. 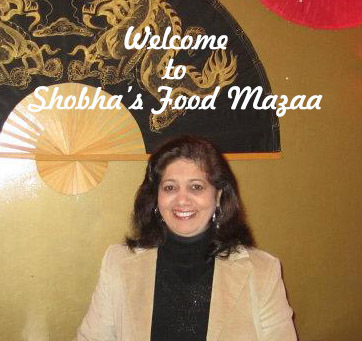 Thanks for sending this over..
U have a lovely collection of recipes Shobha..nice space..glad to follow u ..
nice recipe, will try sometime! Very healthy and yummy breakfast. Thnaks for linking my event. thx for sharing this one is my favrt. this is interesting! What is the purpose of cooking twice? that is interesting... does cooking twice make it stay longer?